In the midst of all the turkey and thankfulness and family and cooking, there is one thing important about Thanksgiving. 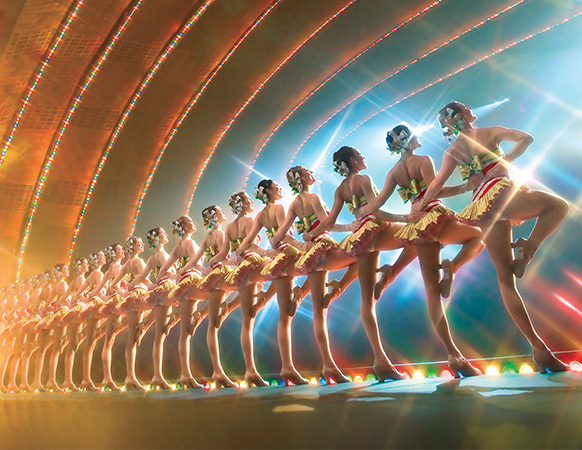 The Radio City Music Hall Rockettes! Every year they perform in the Macy’s Parade and every year since I was a kid, I shush everyone in the house and weep while the Rockettes kick their legs in the air with amazing precision. I can’t explain it. My family teases me (lovingly). And yet, those few moments of watching the Rockettes marks an important milestone in my year. If we’re honest, we all have our weird rituals, our annual milestones, those things about ourselves that we can’t explain. Let your tender little heart love what it loves. Let yourself enjoy whatever weird little ritual you enjoy with no need to explain it. Then hit reply to this email and tell me all about it. I’d like to know I’m not alone. Oh, and be grateful and enjoy your family and friends.